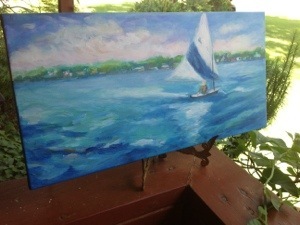 Loved your White Lake painting ! I planned to attend the benefit for Adam but developed a problem and spent the afternoonn at the hospital.. …I hope it went well……. Hope to see you soon…to catch up and visit.